On first appearances, Michael Coleman’s weekly yoga class at Balboa Park looks pretty normal. A small group of people gather in a circle and practice breathing exercises. “Let’s take a breath, inhaling up, exhaling down with a nice aaagh,” Coleman says to the group. But it doesn’t take long before you realize this particular yoga class is nothing like you’ve ever seen before. How locals are taking their own spin on traditional meditation. At once, the entire group bursts out in laughter. Welcome to Michael Coleman’s Laughter Yoga class. “Laughter Yoga is about laughing without jokes and comedy,” said Coleman, a part-time lawyer who’s been instructing and laughing his way through classes since 2006. 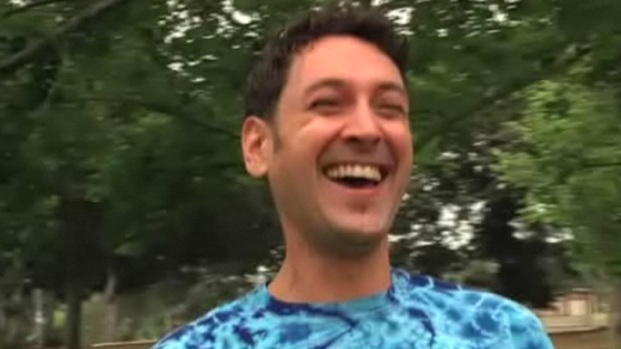 “Laughter Yoga is a way to connect with each other. We’re connecting our body, minds and our souls." It’s hard to watch and not laugh, though it wouldn’t be surprising for yoga purists to be a bit skeptical. But Coleman says Laughter Yoga has the same physical, emotional and social benefits of traditional yoga. “When we’re laughing, we’re breathing so we get a really good exchange of oxygen, exhaling carbon dioxide, getting a cardiovascular workout,” he says. There are 14 free Laughter Yoga classes across San Diego county with information available on the course's website.